Paper Mill Playhouse (Mark S. Hoebee-Producing Artistic Director), recipient of the Regional Theatre Tony Award, is proud to announce student auditions for the theater’s prestigious Summer Musical Theater Conservatory and August Musical Theater Intensive on Saturdays, February 2 and 9, at Montclair State University, College of the Arts/Life Hall, 1 Normal Ave., Montclair, NJ. Students who earn coveted spots in the July Conservatory in the Senior (ages 15-18), Junior Plus (ages 13-14), and Junior Companies (ages 10-12) are directed and choreographed by Paper Mill’s professional artistic staff in a fully produced, original concert at Paper Mill Playhouse on August 2 and 3, 2019, titled New Voices of 2019: Learn Your Lessons Well. An audition appointment is required. To request more information or to schedule an audition appointment please email summer@papermill.org. For audition guidelines and other important information visit https://papermill.org/education/summer-training/. As one of the nation’s leading theaters, Paper Mill Playhouse has a well-earned reputation for launching both performers and shows for the Broadway industry. 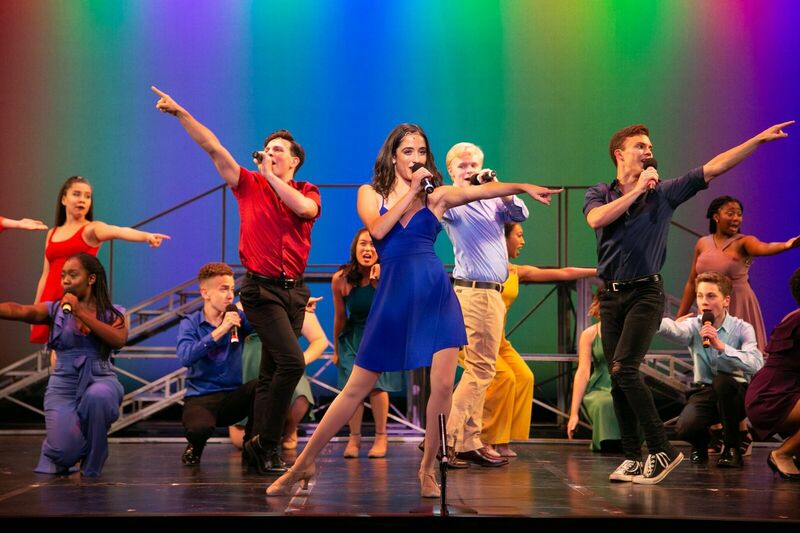 Since its inception in 1996, the Paper Mill Playhouse Summer Musical Theater Conservatory and the New Voices Concert have ignited the careers of many notable performers. Among the Conservatory alumni are Academy Award winner Anne Hathaway (Les Misérables), Tony Award winners Laura Benanti (Gypsy) and Nikki M. James (The Book of Mormon), Tony nominee Rob McClure (Chaplin), Jelani Remy (Disney’s The Lion King), Shanice Williams, star of NBC’s The Wiz Live!, and Olivier Award nominee Jared Gertner (The Book of Mormon). For the full list of notable alumni, visit https://papermill.org/education/notable-alumni/. The New Voices Concert is the culmination of the five-week program. Also appearing will be numerous winners and nominees of the 2019 Paper Mill Playhouse Rising Star Awards presented by Investors Foundation, who win scholarships to attend the Conservatory. Paper Mill Playhouse Education and Outreach programs are generously supported by the Goren Family and Harmony Helper. Noted Broadway talent agents and casting directors flock to New Voices every summer. Victoria Kress, Abrams Artists Youth Theatrical Agent states, “(I’m always) super excited to head to Paper Mill Playhouse for their New Voices show! Having trained some amazing performers, I know this night will prove to be no different! It’s one of my best scouting field trips of every summer.” Nora Brennan, casting director for Matilda, Billy Elliot, and The Radio City Christmas Spectacular, agrees, “The kids were great, the show was fun and entertaining, and the material was tailored so that each child shone. Well done!” Paper Mill’s professional casting partner, Telsey + Company, attends annually and often offers workshops to our advanced students. The Paper Mill Playhouse Summer Musical Theater Conservatory is a program of rigorous study allowing students to enhance their individual performance potential while developing a broad base of theater experience and knowledge. Students participate in intensive classes including musical theater performance, acting, dance, private voice lessons, and improvisation, while also attending guest workshops led by professional actors, directors, and casting agents. The final weeks are devoted to rehearsals for the annual New Voices Concert. The Conservatory offers the unique opportunity for gifted and talented young performers to work at their own level and challenge themselves to achieve new goals and learn new skills. Key to the curriculum is the development of self-discipline, respect, and a commitment to excellence that will serve these young artists throughout their lives. Students can also audition for the theater’s August Musical Theater Intensive Program. This three-week program allows performers between the ages of 10 and 16 to build individual technique and learn about themselves as performers, explore their own abilities, and refine their skills. Like the July Conservatory, admission to the August Intensive is by audition only. Intensive students do not perform in the New Voices Concert; rather, the Intensive classes prepare a musical theater showcase for family and friends. The focus of this program is on strengthening skills and building self confidence in a non-competitive environment. Accepted students are placed in one of two sessions according to age. The small class size in each session allows for individual attention and instruction from the faculty. PAPER MILL PLAYHOUSE, a not-for-profit arts organization under the direction of Mark S. Hoebee (Producing Artistic Director) and recipient of the Regional Theater Tony Award in 2016, is one of the country's leading regional theaters. Paper Mill Playhouse programs are made possible, in part, by funds from the New Jersey State Council on the Arts, a partner agency of the National Endowment for the Arts. Paper Mill Playhouse is a member of the National Alliance for Musical Theater, the Council of Stock Theaters, and the New Jersey Theater Alliance.